Kids of all ages will be able to learn all about UND Aerospace during the 2nd Annual Community Day celebration on Saturday, Feb. 2. 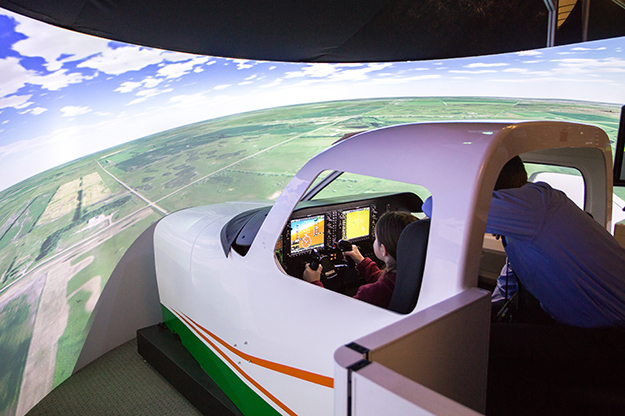 The public is invited to operate flight simulators, fly small UAS and view some of the school’s various aircraft, among other activities. UND Archival photo. When: Saturday, Feb. 2, 10 a.m. – 3 p.m. Parking: UND will not be ticketing when you park in UND Aerospace parking lots. 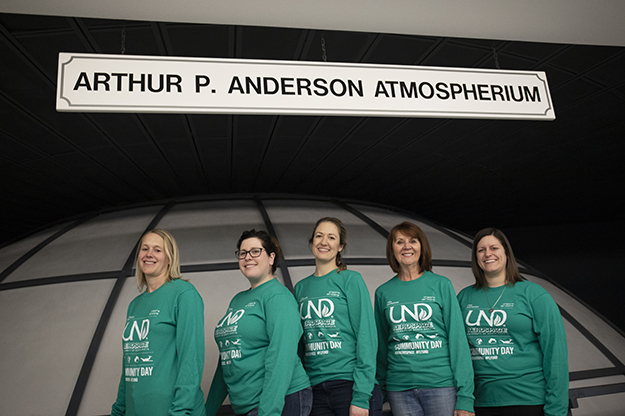 Leaders of the John D. Odegard School of the Aerospace Sciences are excited to open their doors to the community this Saturday, Feb. 2, for their second annual UND Aerospace Community Day. 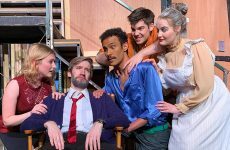 It started as an idea to kick off 50th anniversary celebrations for the school, and its resounding success in 2018 inspired a sequel. Beth Bjerke, associate dean, says the college’s ability to double as a pop-up science museum (and educational winter weekend refuge) creates a distinct experience for youth and families in the region. Everything about this year is new and improved. 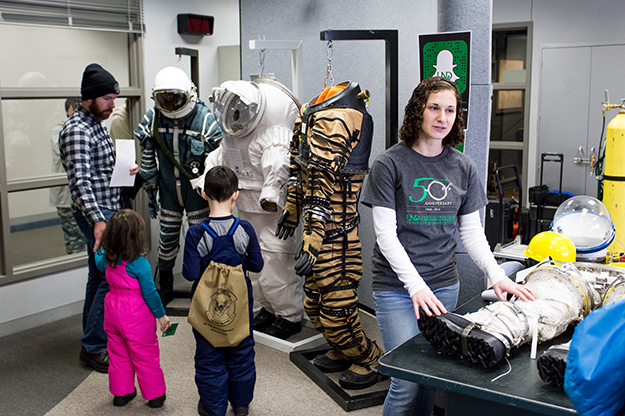 The pop-up museum nature of UND Aerospace Community Day puts exciting UND research projects, such as designs of new spacesuits, on full display. UND Archival photo. The first 500 kids to check in at UND Flight Operations, at the airport, will receive a free shirt commemorating the occasion. Aerospace Dean Paul Lindseth says the school’s doors are always open for tours, but Community Day creates a special atmosphere, especially for the community’s youngest members. UND Aerospace Community Day Organizers (left to right): Elizabeth Bjerke, Courtney Olson, Marissa Saad, Jane Olson and Caitlin Nolby. Photo by Connor Murphy/UND Today. After more than 2,500 people walked through UND Aerospace’s facilities last year, the team is making sure there’s plenty to do. Every department is involved in creating activities to engage young minds. Through an alumni donation, the school also recently purchased a new projector for the Arthur P. Anderson Atmospherium in Odegard Hall, which will be used to show a NASA film about what it takes to get mankind to Mars. 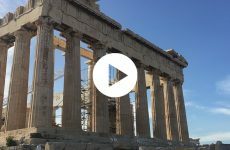 There’s excitement surrounding its IMAX-like capabilities, as it will be used in the future to produce star shows and display 180-degree video in planetarium fashion.